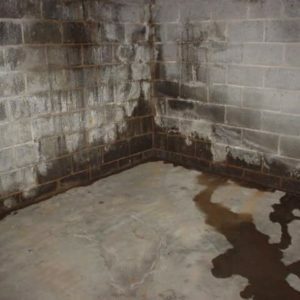 Do you have water intrusion in your basement + crawlspace? Do you need professionals to help repair your foundation or install french drains? These types of repairs should be left up to the experts. Do you have water intrusion in your basement? 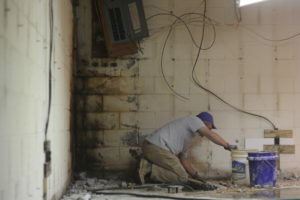 Our team will professionally waterproof your basement, repair and protect your home from water intrusion, and ensure that this never happens again. Is your crawlspace weak or damaged by water intrusion? Call us immediately to assess your foundation and waterproofing needs. Together, we will work to repair and restore your crawlspace before the damage worsens. If you need a French drain installation or sub-surface drain services, choose our team to help. "You can be certain we will recommend "Stay Dry Water Proofing Company" because of their outstanding job performance and customer service. Their name lives up to their reputation. Professional Diligence and Skill. 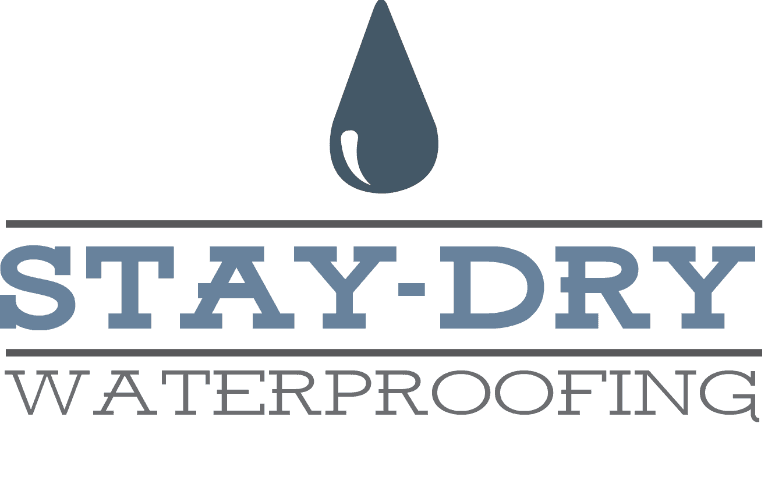 Thank You Stay Dry Waterproofing!" "Great people that do fantastic reliable work. I wouldn't choose anyone else." "I built a new house in downtown Cleveland. It is not unusual for water to stand in the crawl space of houses in that area. I had the Stay Dry System installed during construction and never had a problem with water in my crawlspace. I recently sold the house and the Home Inspector said: "If a crawl space can be called perfect, this is the closest I have ever seen." I trust their work completely. 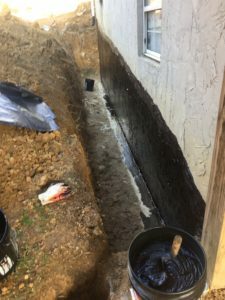 "Mike Brindle and his Stay Dry crew completed a crawlspace French drain and foundation waterproofing job on our house. They were on schedule, professional and extremely neat. Their work was completed as promised and their cleanup after the job left our landscaping looking as it did before the job was started. Job well done." "I am very impressed with they guys from Stay Dry Waterproofing. The work I needed done was not the best of conditions to work in, extremely wet and muddy, tight spaces, and to be honest just a real mess. However Mike and his crew completed the work in just 4 days like it was just another day at the office.They were very punctual and did exactly what they said they would do. I would definitely use stay dry again and highly recommend them." "I would highly recommend Stay Dry Water Proofing to anyone with water issues in their crawl space. After obtaining three estimates I chose Stay Dry because their philosophy of getting the water out just seemed to make good sense to me. Also, their estimate was much lower than others. Anyway, one year later my termite inspection went great. The technician commented on what a great job was done and how dry everything was. This inspection took place the day after raining all night with flood warnings issued in the area. At the time the work was done, everything went exactly as promised. I would give them 5 stars." "I would highly recommend Stay-Dry Waterproofing Company to anyone experiencing moisture problems under their home. I had other companies assess my crawlspace problems. Those companies use scare tactics to make you believe theirs is the only solution. I was impressed with Stay-Dry's reasonable assessment and common sense solutions to our moisture problem. 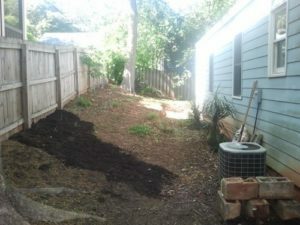 I was given a scheduled time and Stay-Dry was able to install our French Drains and sump pump system ahead of schedule. For those who have had bad experience with contractors promising something and not delivering as promised, you will be very pleased with Stay-Dry Waterproofing. We were very pleased with their service and would highly recommend them." "Wow what a positive experience yesterday with Mike Brindle of Stay Dry Waterproofing. 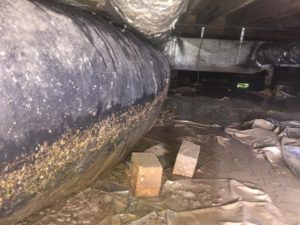 I contacted 3 waterproofing solution companies to access my wet crawlspace ... They had a lot of slick marketing propaganda to support their very expensive "new way" solution to take care of my crawlspace dilemma. Then Mike’s assessment . . . "There is nothing wrong with your crawlspace except for some normal condensation from the usual humid summer days in Chattanooga". His solution was for me to buy a $20 box fan to provide some air movement. He charged me nothing & wouldn't even take a bottle of water for his efforts. It is great to find someone that is as honest & trustworthy as Mike is. He will be the first one I will call on any future basement or crawlspace issues. I have already told this story many times to anyone that will listen. Thanks again Mike!" "I built a new house in downtown Cleveland. It is not unusual for water to stand in the crawl space of houses in that area. I had the Stay Dry System installed during construction and never had a problem with water in my crawlspace. I recently sold the house and the Home Inspector said "If a crawl space can be called perfect, this is the closest I have ever seen." I trust their work completely. Also bought a house for my son, and the basement was a wet mess in one corner. They came and did the work needed to make it perfectly dry. Two years later and not a drop of water in that area. I highly recommend this company, not only do they do what they advertise, but they also stand behind their work. Not to mention...which is very important to me.....they came when they said they would. That is a rare find these days!" "My wife and I recently purchased a home in Cleveland, TN. When we had the home inspected, we found out there was a large amount of standing water in the crawl space. Stay Dry Waterproofing has an excellent reputation in town, so we decided to give them a call. They were there the next day to take a look and prepare an estimate. We received an estimate the day after that. The price was excellent! They began work immediately and completed the job on the exact schedule they gave us. The work was exceptional and we are extremely happy with the results. I would most definitely recommend them to anyone who needs any such work done!!" "Dear Mike, I would like to express my sincere appreciate to you and your crew for the outstanding way you solved my Crawl Space water problem. You projected four days and complete the job in three days. I know this was a difficult job because your men had to use jack hammers to dig through the hard surface filled with rocks. When you left, the shrub area was back in place, the outside ditch was filled in and the grass sod was replaced. One could not tell any repairs had been made and everything was left very clean. Feel free to use this letter as my recommendation." "Thank you so much for the wonderful work you and your company did in our crawlspace. Our crawlspace is completely dry after installing the system. The musty odors are gone as well. You are the most professional person we have had at our home since we built it 10 years ago. 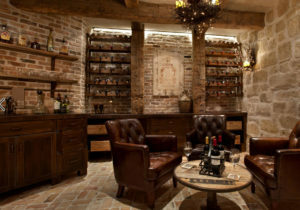 I was so impressed with the fact that we could not even tell anyone had worked here when you and your crew were done. I cannot thank you and your company enough. We would highly recommend YOU to anyone we come in contact with. Thank you so much." "Recently a water drainage issue became evident on my property in Chattanooga. I made a call to Mike Brindle at Stay Dry Waterproofing and he immediately identified the problem, presented me with a corrective plan and cost estimate. Mr. Brindle performed as a reputable contractor should, by correcting the problem on time; in a professional manner and within the estimate given me. Although he did additional work not specified in the estimate, he did not present me with any surprise charges when the work was completed. In today's culture it's difficult to find a man of his caliber who will do as he says with an emphasis on quality. Mike Brindle is a true professional and I would not hesitate to call upon him at any time in the future." 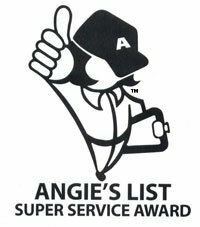 Stay Dry Waterproofing won the SUPER SERVICE AWARD in 2014, 2015, and 2016 from Angie's List!! Call us now or fill out the form below and we will be in touch shortly.